Here are two articles about alternatives to the accepted ways of doing business. This story from Fast Company is interesting because it explains how the people running YouTube see their business. It also goes into detail about how advertising revenue is being generated and split with content producers. This story about Brooklyn animator Mark Stansberry tells how he's marketing his character and cartoons on the N.Y. subway system. I don't take any awards seriously in that I don't take anybody's word that something is the "best" in any given category. However, I do take awards seriously as a marketing tool. 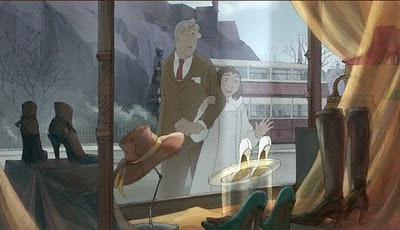 In the animated feature category, I'm happy to see that The Illusionist received a nomination. Of the three nominees (the other two being Toy Story 3 and How to Train Your Dragon), it is the film most likely to benefit from the nomination in that it is the only one of the three that is still in theatrical release. This should give it a bump at the box office. It will also boost the eventual DVD sales. The other two films have already made most of their money. Their theatrical runs are over and their DVD sales peaked before last Christmas. While the nominations may goose their DVD sales a bit, the overall impact on their profits will be minimal. The nomination of The Illusionist is also good for drawn animation. Anyone trying to finance a drawn feature will use this nomination as proof that the medium is still artistically viable. No nominations are needed to argue that for computer animation at this point in time. Having said all of the above, I would be very surprised if The Illusionist wins. I think it's a given that Toy Story 3 will win the category. Its nomination for Best Picture is an indication of how much Academy members like it, but they will never vote for it in that category. The Illusionist has a better chance of winning Best Animated Feature than Toy Story 3 has of winning Best Picture, and I wouldn't place a bet on either occurring. If you have ever read a book about American animation history, the odds are that Mark Kausler's name is in the acknowledgments. In fact, if his name isn't there, you probably shouldn't bother to read the book. Besides being one of the most knowledgeable people on animation's history, Kausler is also an animator himself who has worked on features such as Who Framed Roger Rabbit?, Fantasia 2000 and Osmosis Jones; TV series like Snookums and Meat and his own independent film, It's the Cat (you can view the pencil test here). 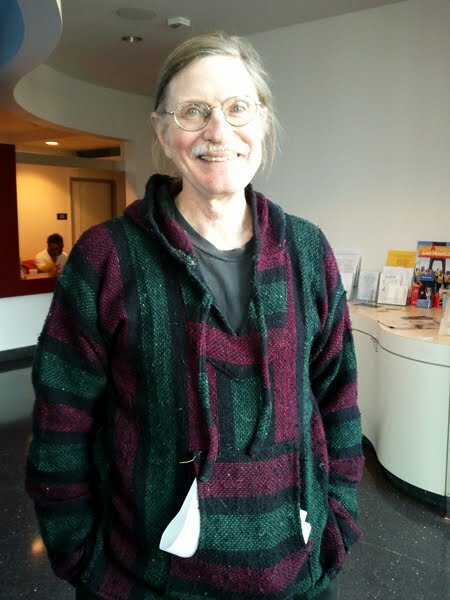 The Animation Guild, as part of its continuing series of podcasts, has interviewed Kausler. Here is part one and here's part two. 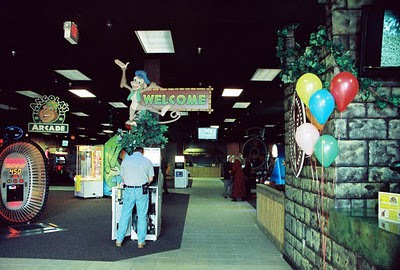 Then we come to the weekend of June 18, 2010, when Toy Story 3 opened in more than 4,000 theaters around the country. It was a huge weekend for the Pixar film—one of the biggest of all time, in fact, with more than $110 million in total revenue, and $66 million from 3-D. Yet a close look at the numbers shows something else: On average, Toy Story 3 pulled in $27,000 for every theater showing the movie in 3-D, and $28,000 for every one that showed it flat. In other words, the net effect of showing Woody, Buzz, and friends in full stereo depth was negative 5 percent. The format was losing money. And because ticket prices for the 3D version were higher, it means that the opening weekend saw more people viewing Toy Story 3 in the flat version than in the 3D version. Fortune Magazine has posted its list of the 100 best companies to work for. DreamWorks ranks number 10, and no other film or animation studio made the list. Sylvain Chomet's The Illusionist, based on a script by Jacques Tati, opens on Jan. 21 at the Cumberland theatre in Yorkville, at 159 Cumberland Street. Go see it. 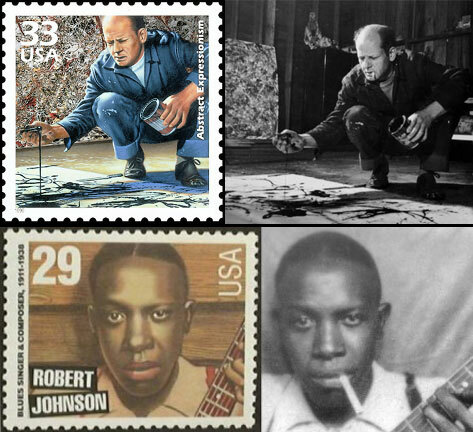 Now the United States Postal Service is also eliminating cigarettes from historical artifacts. Steve Stanchfield, proprietor of Thunderbean Animation, is already held in the highest regard for his historical animation DVD releases. Stanchfield works on a shoestring, yet the quality of the prints he uses, the commentaries and extras he includes, rival DVDs from multinational corporations. The simple fact is that he cares more for the contents of his DVDs than they do. 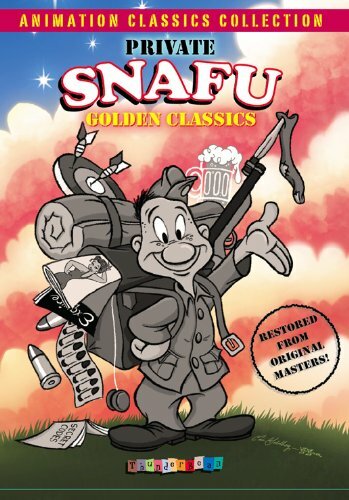 Steve has outdone himself with his latest release, the Private Snafu Golden Classics. 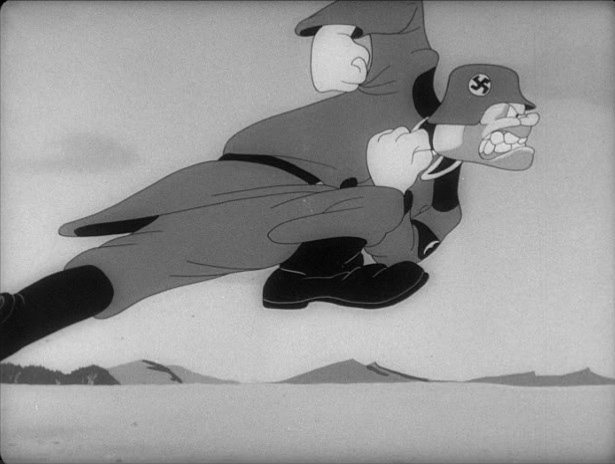 These cartoon shorts were made for the American military during World War II and were humorous tales of the many ways a soldier could screw up, risking his own life and the lives of others. What makes this release so special is that Steve has located the original 35mm negatives to use as his video masters and these cartoons, which represent the Warner Bros. studio at the height of its skills, have never looked better. 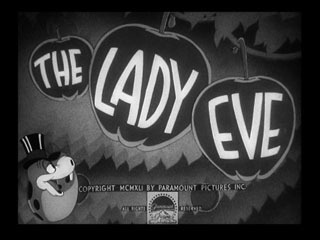 Cartoons directed by Chuck Jones, Bob Clampett, Frank Tashlin and Friz Freleng, with animation by Ken Harris, Bob Cannon, Bob McKimson, Rod Scribner, Art Davis, Izzy Ellis, Virgil Ross, and Gerry Chiniquy, look as good as the cartoons restored by Warner Bros. The stills included here are from the DVD. Besides great looking films full of wonderful gags and animation, Steve has recruited John Kricfalusi, Eric Goldberg, Jerry Beck, Mike Kazaleh and yours truly to provide audio commentaries. In addition, there are storyboard panels, magazine covers of Snafu by Ray Harryhausen(!) and a maquette of Snafu from the collection of Tony Eastman. 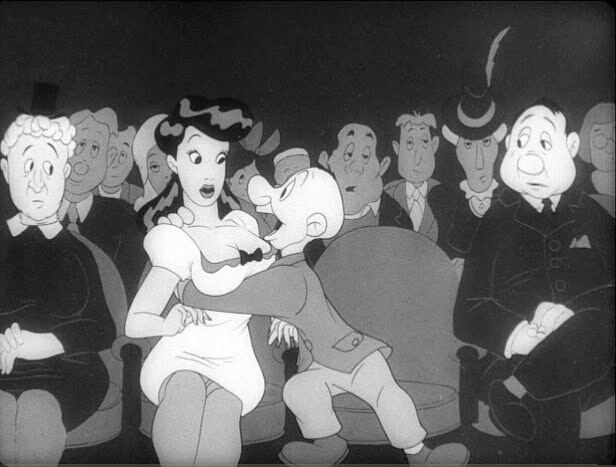 Whether you're interested in animation history, Warner Bros, great animation or you just want to laugh -- because these cartoons were for soldiers, they're a lot more risque than any Looney Tune -- you will find this collection highly satisfying. I met John Celestri at Nelvana in Toronto, even though we were both New Yorkers by birth. At the time, John was animating on Rock and Rule. 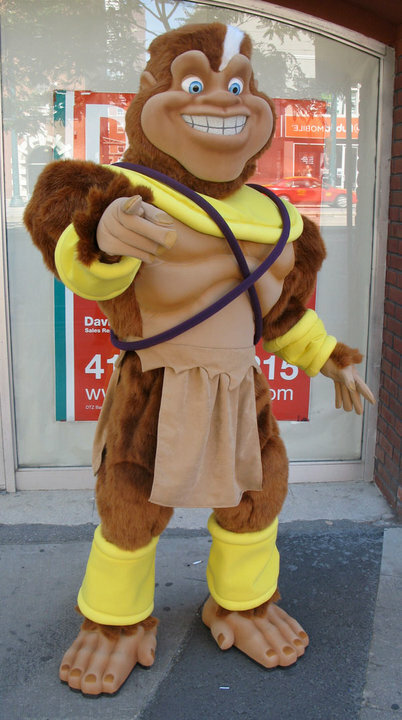 In the years since Nelvana, John has worked for a variety of studios including Don Bluth. Currently, he’s the COO of Grace Global Media Corp. which is trying a new variation on an established business model. Lots of cartoon series spin off merchandise or themed locations. Lots of brands spin off cartoon series. 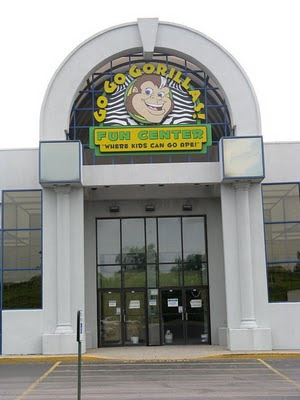 Go Go Gorillas! was created to simultaneously be both a retail brand and an animation series. The first facility opened last December 3 in Danville, Kentucky. 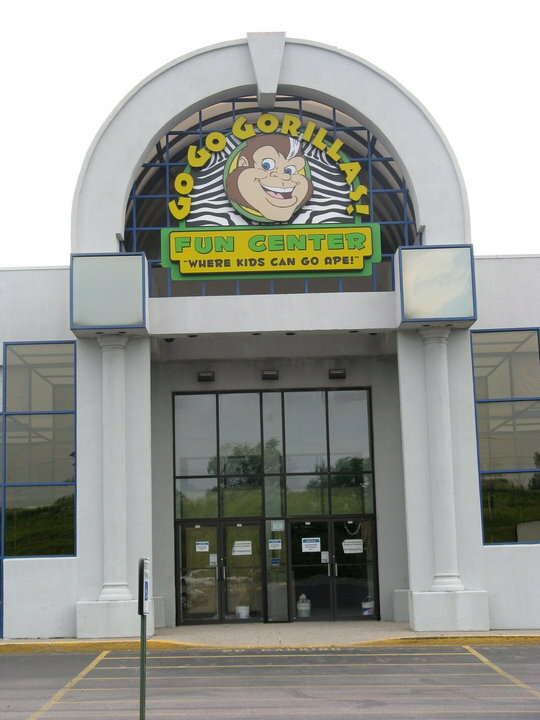 It’s 30,000 square feet housing a restaurant and indoor theme park, which contains a rock climbing wall, an arcade, mini-bowling, bumper cars, blacklight miniature golf, party rooms and an educational space for classes to use for field trips based on Kentucky’s core curriculum . The characters are the Avenging Apes of Africa, a group built around the themes of ecological and social responsibility. The company’s goal is to expand the number of facilities and once there is a steady cash flow, build an animation studio that will create a featurette a year to explore the characters’ stories, as well as create arcade and video games for the chain. John is committed to using drawn animation for these films and to doing it all under one roof in Danville, with no outsourcing. The website is located here and the center is located at 2900 South Danville Bypass, Danville, KY.
"In September, the Justice Department settled another suit over similar no-solicitation agreements involving Adobe Systems, Apple, Google, Intel, Intuit and Pixar." "Beginning no later than April 2007, Apple and Pixar agreed that they would not cold call each other's employees. Executives at Apple and Pixar reached this express agreement through direct and explicit communications. The executives actively managed and enforced the agreement through direct communications. The agreement covered all employees of both firms and was not limited by geography, job function, product group, or time period. In furtherance of this agreement, Apple placed Pixar on its internal ``Do Not Call List'' and senior executives at Pixar instructed human resources personnel to adhere to the agreement and maintain a paper trail in the event Apple accused Pixar of violating the agreement." So in this case, it appears that Steven Jobs fixed it so that the two companies he controls didn't compete against each other for employees. It's getting a lot harder for me to take the sentiment in Pixar films at face value. If you're interested in film history or graphic design, here is a great site with hundreds of classic film title and end title cards. The site was created by Christian Annyas, freelance web designer. It's interesting to see the evolution of film graphics over the decades and a lot of fun to check out the Warner Bros. end titles and try to guess what film they are from. You'll see when you move your mouse over a particular title.